Ellie is a beagle mix who is around 18 months in age. She is a delightfully sweet dog and is great with other dogs, kids or cats. Ellie is a rambunctious girl and will need some training but she is eager to please and with some discipline would make a great family pet. 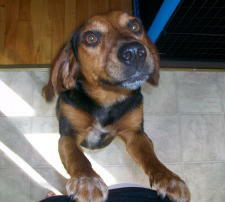 As Ellie is a beagle she will need a secure, fenced yard and may not be suitable off leash. 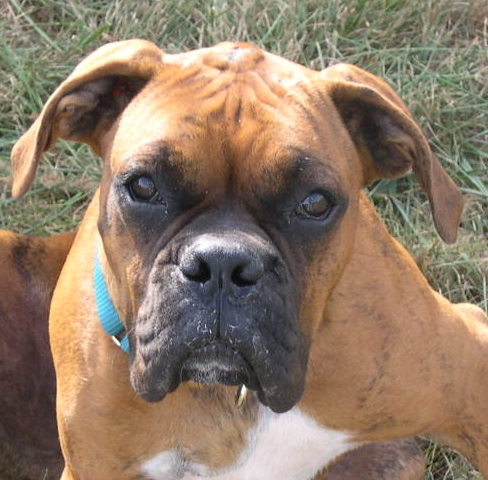 Ellie is a sweet, loving and loyal dog. She loves to be the center of attention and is very eager to please. She is also a very energetic and adventurous girl, and LOVES to run, especially in the early morning. If she had someone who would run with her all the time, she would be so happy. Ellie uses her nose to the fullest, so being off leash isn’t an option for her just yet, but with a lot of training she might be able to in the future. She likes to be outside sniffing and playing in the yard. She adores children and is always eager to meet them. She is an adorable little dog with a huge presence and a free spirit, but just needs an owner with a kind heart and firm discipline to shape her behavior. Ellie will be at Pets West, 777 Royal Oak Drive in Broadmead Village on Saturday, August 22 from 11:00 - 4:00 so stop by and say hi! If you are interested in providing Leyla with a forever home, please complete an application form. and to facilitating adoptions of the stray and abandoned animal population of McIntosh County.